Constant attention to segregation in formerly white South African schools limits our understanding of how race works in the school system. This January a photograph of a South African classroom went viral. Taken at a school in the North West province, it showed four Black children seated separately from eighteen white children. The image provoked disappointment, embarrassment and anger—but not surprise. In 2015, a private school run by the Curro group was exposed for segregating whole classes by pupils’ “race.” Afrikaans-medium schools have faced persistent criticism for using language to exclude Black students. In the early apartheid period segregation was enforced by “white” schools when they administered the notorious “pencil test.” A pencil was placed into an applicant’s hair and, if it fell out, the student was thought of as “white.” Hair thus determined access. The 1960s saw the high tide of urban segregation. Forced removals, the whitening of city centers, and the building of black townships divided cities into racial zones. Pseudoscientific and cultural assessments of race became less important when ID cards indicated a person’s race and children attended their local school in segregated areas. Schooling was an everyday act that made segregation appear normal, even innocent. Yet the period of high apartheid segregation was shorter than many people think. And schooling provides a powerful window into the way that race became entangled with cultural hierarchies in new ways. In 1990 Education Minister Piet Clase encouraged white parents to vote, school by school, on whether to desegregate their schools and assume more autonomy, including charging fees. The scale of “yes” votes surprised many commentators because the criteria for change—an 80 per cent turnout and 72 per cent of parents voting in favor—was “almost impossible to achieve,” in the words of one newspaper. This vote showed that, even before apartheid ended, most white parents were willing to accept desegregation, on certain terms. Public schools retained control over admissions and fees filtered out poorer Black students. But schooling desegregation does not simply constitute a shift, as some on the left argue, from “race to class apartheid.” In this high-stakes world, whiteness has a value. The seven percent of public schools built for whites compete by showing a fidelity to whiteness, and they sell not only qualifications but also cultural aspects, including a “white” accent. Hair is no longer the responsibility of administrators undertaking the pencil test but of a new group of marketers employed by schools: for instance, Afro-textured hair is bad for business. 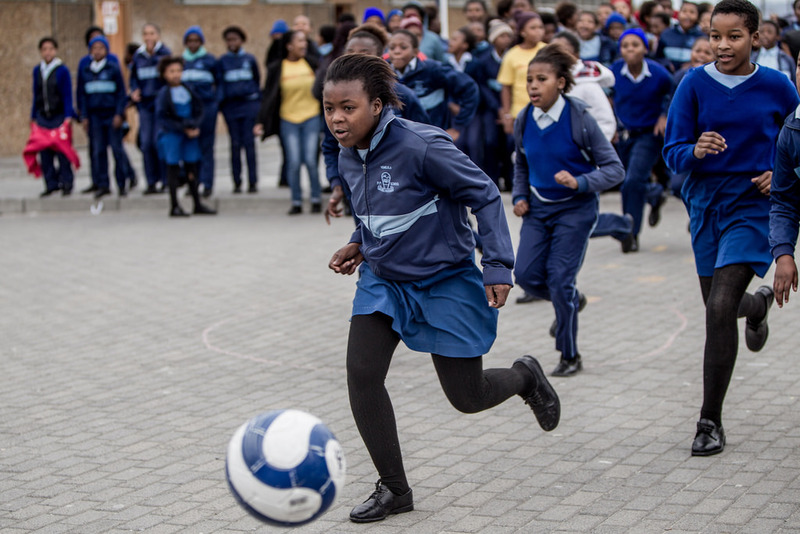 Formerly white schools no longer fear apartheid bureaucrats but the school’s image “going Black.” At the same time, to market sports they might choose a Black rugby star (rugby still being coded as a white sport) over a white soccer player. Thus, in South Africa today, schools, race, class, and markets come together in dynamic and varied ways. The #RhodesMustFall and #FeesMustFall protests led the way in insisting that segregation is not the same think as decolonization. Curricula, statues of colonialists, and the background of lecturers, have come under intense scrutiny. But, as powerful as it is, this politics typically focuses on the deracialization of formerly white institutions. Questions remain: what does decolonization mean when high fees exclude poorer students from formerly white institutions? What does decolonization mean for poor Black rural students? In South Africa, the continued de facto segregation of formerly Black schools can hide important lessons. Even in the darkest days of apartheid, committed teachers and parents developed excellent Black institutions that included not only mission schools but also some public schools located in townships and rural areas. These developed alongside—and helped to influence—the movement of Black children into white private schools. They remain under the radar because they did not desegregate; yet you don’t find white, Indian, or Coloured students in formerly African schools. Take Umlazi township in Durban, where the names of schools that once were great, some of which are still excellent, are well known to residents: Umlazi Commercial, Menzi, Zwelibanzi, Vukuzakhe, Velabahleke, Ogwini and Comtech. These institutions promoted and still promote English alongside isiZulu. Their discipline and attention to the basics of schooling challenge the association between excellence and whiteness. These excellent township schools charge a fraction of the fees of elite white schools. They offer a clearer path to employment—often now English-intensive service work—than many rural schools where students gain fluency in African languages that remain undervalued in society. Thus, as important as it is to call out practices of segregation, it is a mode of racism that transmuted in critical ways from the 1970s. 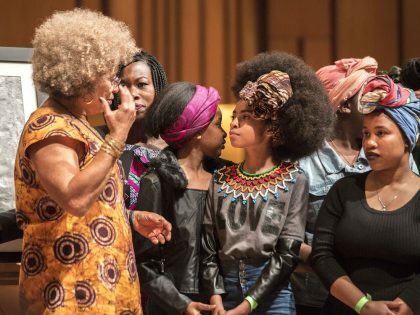 What followed was a system where “white” phenotypic traits like skin color retain value in the schooling system even as the multiracial middle class embraces prestigious linguistic and embodied practices that can be called “white tone.” But lessons for decolonization should not just be taken from formerly white institutions, but excellent formerly Black schools that remain de facto segregated. 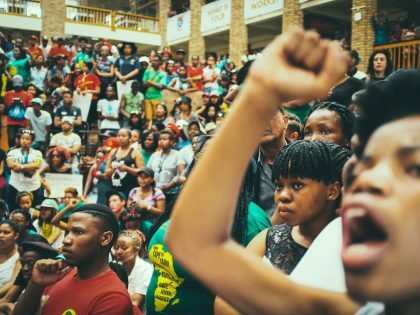 Fees Must Fall (#FMF) brought student activism at South Africa’s elite universities into the global media spotlight. 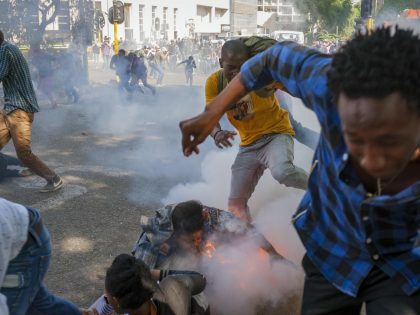 A new documentary zooms in on the case of Wits in Johannesburg. The policing of black hair often begins at a very young age, in the most subtle and intimate spaces, long before you get to school.